As someone that only recently got into the habit of blogging properly (I am still getting there, just bare with me), I did not expect this nomination but I am very glad for it as it means that my posts and my voice will reach more people. YAY! 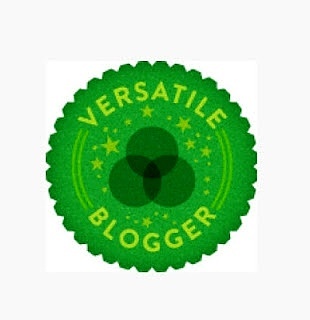 This is an award given to bloggers by bloggers and the idea of it is to help each other discover new blogs and also to support each other. Before moving on about the facts about me I would like to take a moment to thank Laura from: https://lauraslittleworldblog.wordpress.com/ for nominating me. Make sure you check her blog out guys! The 7 facts about me…I found this hard to do as I didn’t want to bore anyone but I also didn’t want to cross any lines. Fact 1: I met my husband when we were 17 in 2007 and we married last year on the 07th August 2016. Fact 3: The 1st holiday we took after getting married was to Venice and we fell in love with it. Every street is just so picturesque and the whole city is so different from anywhere I have ever been. Fact 4: I have chronic pelvic pain which sometimes makes my life quite hard, but I believe it has only made me stronger. Fact 5: I love Regency Romance books, the first one i ever read was “Romancing Mr Bridgeton” by Julia Quinn, and since then I have read all her books plus books from other authors. I just can’t get enough. Fact 6: I am scared shitless of thunder. I have ran back into buildings and just refused to leave because of it. Fact 7: My biggest passions are: Cooking, reading/writing and makeup. If i could get paid for just focusing on those 3 I would be the happiest woman alive. My Nominees aka the blogs you MUST see!